Noted. | FineStationery.com: August Wallpaper Download from Judy Ross Textiles! 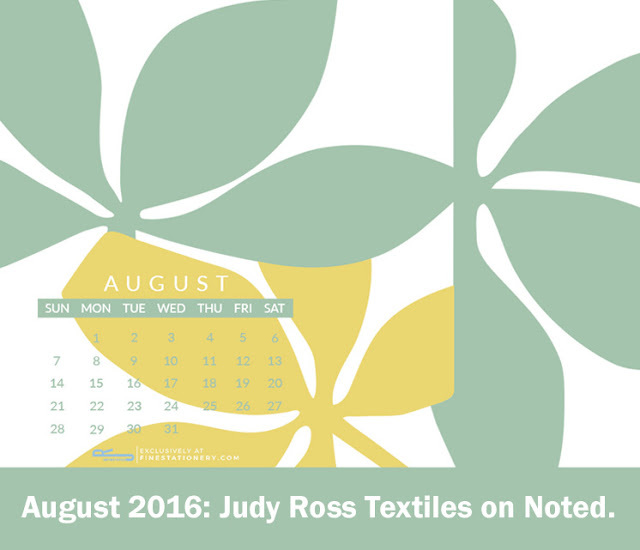 August Wallpaper Download from Judy Ross Textiles! ...and just like that we have arrived in the dog days of summer! August is upon us so use every last moment to soak up the rest of the warm weather. This month's free wallpaper download is from designer Judy Ross Textiles! You may have seen her modern designs on products ranging from pillows and rugs to curtains and bed covers, and now you can find it on personalized stationery. View her debut stationery collection here and download her exclusive wallpaper below to add a unique touch to your desktop!